This might sound strange, but medical marijuana was actually legalized in Hawaii on June 15, 2000, thanks to Governor Benjamin Cayetano. The relevant statute can be seen here. 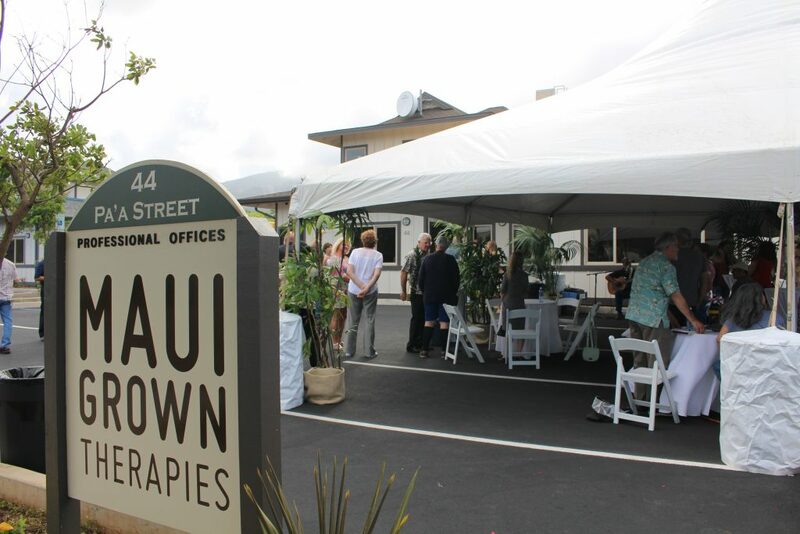 However, the concept of opening an actual medical marijuana dispensary was still a difficult idea to get through to politicians’ heads, so most people who were in need of medical marijuana in Hawaii needed to grow their own. This changed 15 years after medical marijuana was legalized in Hawaii, when Governor David Ige signed a bill into law allowing for medical marijuana dispensaries, and the laws were expanded on July 14, 2016. As it stands currently, those with a valid, Hawaiian-backed MMJ card (once known as “Blue Cards”) can obtain up to 4 ounces of cannabis flower or cannabis-infused products (e.g. oils, tinctures, lozenges) from a licensed provider every 15 days. Yet, anyone who’s been keeping up with the news in Hawaii will realize that it’s a hodge-podge of the good and the bad when it comes to medical marijuana – which makes it a bit like most states in the U.S., really! Whilst the perfect regulatory system will probably never be created, at least any time soon, it is always worth seeing how regulations pan out when they’re played out in the real world and whether or not they’re being practiced. Hawaii’s first week or so has shown many of the same problems other states that have legalized cannabis, the main one being that it sells out very quickly as soon as it’s legalized, whether medically or recreationally. In fact, Maui Grow Therapies and Aloha Green ran out of cannabis flower in a matter of days. No wonder states like California distribute the huge amounts of cannabis they produce to other legal states – there’s massive demand for it! Of course, this is just for the moment, and there could well be restrictions on this sort of trade in the future. The 17 year wait for a medical marijuana dispensary – that’s a long time for patients, many of whom may not be able to grow for themselves due to sickness or disability. Further to the above, the lack of foresight given that they had 17 years to develop proper legislation and start setting up decent testing labs – it seems Hawaii dawdled on this issue. Patients can only obtain a maximum of 4 ounces every 15 days. Though this might be enough for most people, arbitrary restrictions may have undesirable effects, and could put patients in the hands of the black market again. Just like in many other states in the US, cannabis legalization – even for medical purposes – has its doubters, and there are many people on the island who may see cannabis as a “problem”. Many people are concerned with an uptake in cannabis use amongst young people should legalization of any type occur – a view that is not supported by any evidence we have so far, but still a big concern for many people. There is a massive lack of labs testing cannabis, and furthermore there is a ban on transporting cannabis to other Hawaiian islands – this is pretty much asking for a shortage. A bit of supply-and-demand 101: a shortage in a high-demand market may well increase the cost of cannabis and make it unaffordable for many patients to go to dispensaries. Following on from the above point again, this means people potentially turning to the black market again, which will sell cannabis for cheaper, and with no punitive taxes. The black market is not so well-regulated with regards to lab testing for heavy metals, pesticides and so on, which is a massive issue for those in need of medical marijuana. Limited dispensary opening times makes Hawaii almost a perfect whirlwind of “everything that could go wrong with legalized medical cannabis”. Furthermore, Hawaii does not have reciprocity with any other states – this should ideally be changed. This is the thing: considering the amount of time medical marijuana has been legal according to the Hawaiian statute books, the island could have been one of the best examples of how a good, well-regulated MMP should look. Hawaii could have been a model for other states to follow, but instead goes the same road other states have, and make a system that could help thousands of Hawaiian patients into a ramshackle affair, and rules made on-the-fly and at the last moment. Whether this sort of thing is done through ignorance or maliciousness is up for debate, but the only answer for many patients can be, “it must be both”. Medical marijuana programs in many states have been hobbled from the very beginning, and in many instances legalizing recreational cannabis has made things worse for MMPs. MMPs in states that have legal recreational cannabis shows dramatic falls in uptake in states like Oregon. No doubt, with the lack of tax exemption for patients, Nevada will follow the same path as Oregon. The fact that Hawaii now has a MMP and dispensaries could be said to be a step in the right direction, but is that really enough to say “good job”, especially with all the problems that have arised thanks to the lack of management? Well, there is at least one other positive, and that is the fact that dispensaries must have their cannabis tested for heavy metals and the like (like in Nevada). Steep Hill Hawaii is one such testing lab, but there aren’t nearly enough testing labs to cope with the demand at the moment. Another problem is whether or not labs are required to go further than just heavy metal tests and conduct cannabinoid & terpenoid, residual solvent, microbiological, pesticide, and other pollutant screenings. Though Steep Hill seems to do cannabinoid and terpenoid profiling as well as the required-by-law heavy metal screenings, it is uncertain whether or not labs will go above-and-beyond of the minimum of what’s required of them. That Hawaii has a legal requirement to test its cannabis products is definitely a step in the right direction. Whether these tests will be robust enough, we need to wait and see, but this is pretty much a necessity if people are to take the concept of “marijuana is medicine” seriously. There are still huge issues with consistency, as our chat with Jeff Raber of the Werc Shop shows, but hopefully this will improve sooner rather than later. The personal possession limit of 4 usable ounces at any one time is a lot more generous than many other states. Should the patient have a primary caregiver, they can both have on their persons a maximum of 4 usable ounces jointly, so it’s worth being careful of the amount of cannabis both are carrying on their persons, even if they’re not together. Home cultivation is allowed, and is something every state with legalized marijuana should allow. Hawaii allows for a maximum of 7 plants to be grown at any one time by patients, whether mature or immature. Of course, it would be nice if they changed this to 7 mature plants at any one time (growth cycles and science doesn’t seem to feature too much in many politicians’ and lawmakers’ thinking), but it’s still better than nothing. Hopefully, Hawaii will look at what they’re doing wrong with their MMP at the moment and try to fix it. The island is also increasingly coming out in support of a well-maintained and regulated MMP, and many would even like to see recreational cannabis legalized, even if there are a significant number of people who wouldn’t. It seems critical mass will hit Hawaii soon, and considering that the island even has its own landrace strains that grow naturally, it wouldn’t come as a huge surprise should recreational cannabis becomes legalized on the island in several years’ time. That Hawaii is a huge tourist destination may also help shift Hawaii towards both recreational legalization. Getting their MMP right would do not only Hawaii’s dispensaries, growers and patients right, but the state of Hawaii as a whole, as others come to learn how to do it properly. As things stand, this is a massive missed opportunity. However, if the Hawaii MMP is anything to go by, it seems that when recreational cannabis legalization does happen, the exact same problems will occur. Yes, this means product shortages, a lack of any decent regulatory oversight, punitive taxation that’ll make patients won’t necessarily be exempt from, and just generally bad management. This may even mean research funding on medical marijuana drying up, which very much plays into the hands of those big labs that can afford to study the medical potential of this plant independently. The US government, who holds the patent on CBD, may well benefit hugely in a financial sense from this situation. If you want to find out about how to get an MMJ card in Hawaii, check out our article below.